Defender's Quest is a new tower defense game with deep role playing gameplay elements. The game was in development for quite some time and the final version has been released yesterday. Defender's Quest is a Flash/Adobe Air based game and comes with standalone deb and tar packages for Linux. We usually don't write about such games as Adobe Air is no longer supported on Linux. But its different in case of Defender's Quest. Having following its progress for quite some time and playing the demo, I can say that the game is really addicting, providing a very satisfying role playing experience as well as strategic and tactical tower defense based gameplay. Unlike other tower defense games, you can develop your characters, improve their stats, equip them with better weapons, upgrade their skills and retain them in battles. Also you just don't start a battle and watch your army fight. This game requires you to be very active in every battle which is great. The game has also been reviewed very positively by Rock, Paper, Shotgun. 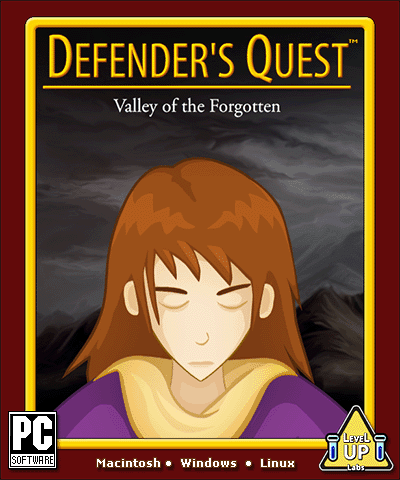 Defender's Quest can be purchased for $6.99 from FastSpring. Try the demo yourself from here in a browser or download Linux Packages. You can download Adobe Air from here.